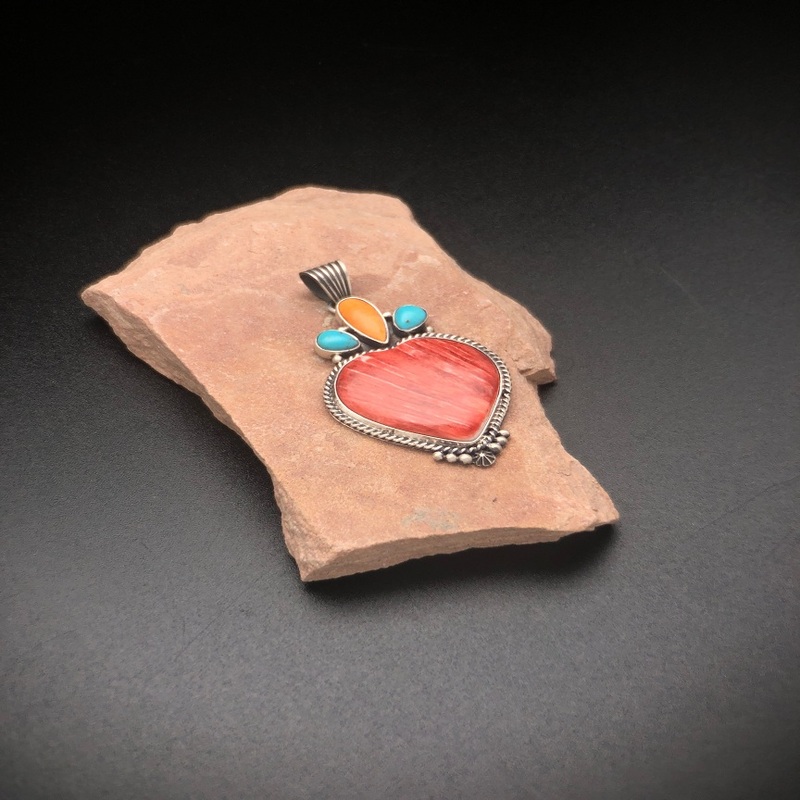 A very rare opportunity to own this one of a kind Pendant featuring a beautiful HEART carved from a piece of RED Spiny Oyster Shell set below 2 pieces of Sleeping Beauty Turquoise from Arizona and a single tear drop shaped piece of Orange Spiny Oyster. All stones is mounted with a smooth bezel then set on a hand wrought sterling silver mounting framed with twisted round silver wire. 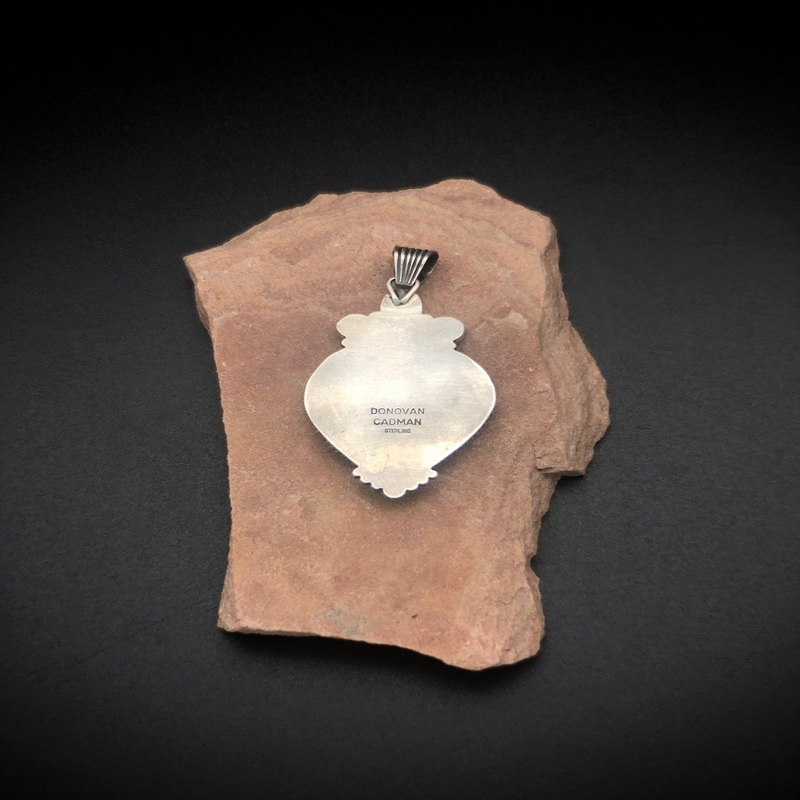 Pendant is approximately 3 inches by 1 5/8 inch wide. 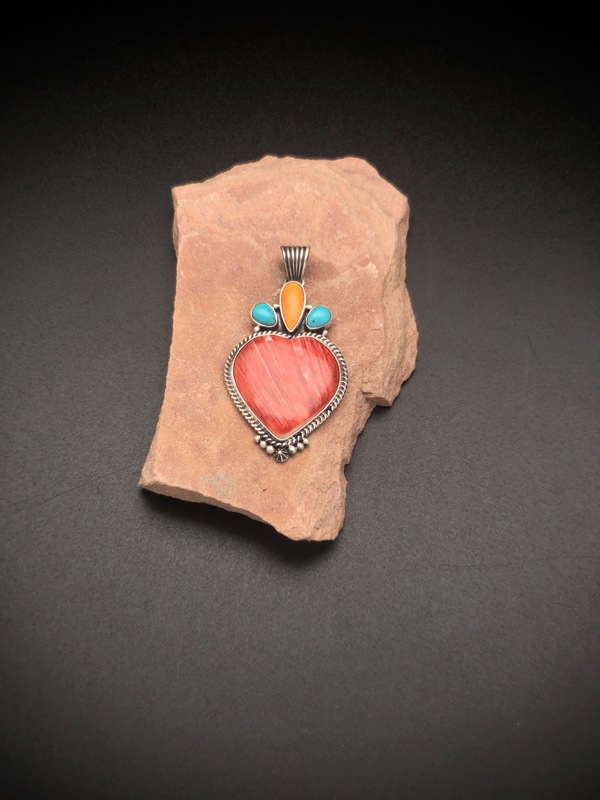 Completely hand crafted and signed by acclaimed Navajo artist Donovan Cadman. 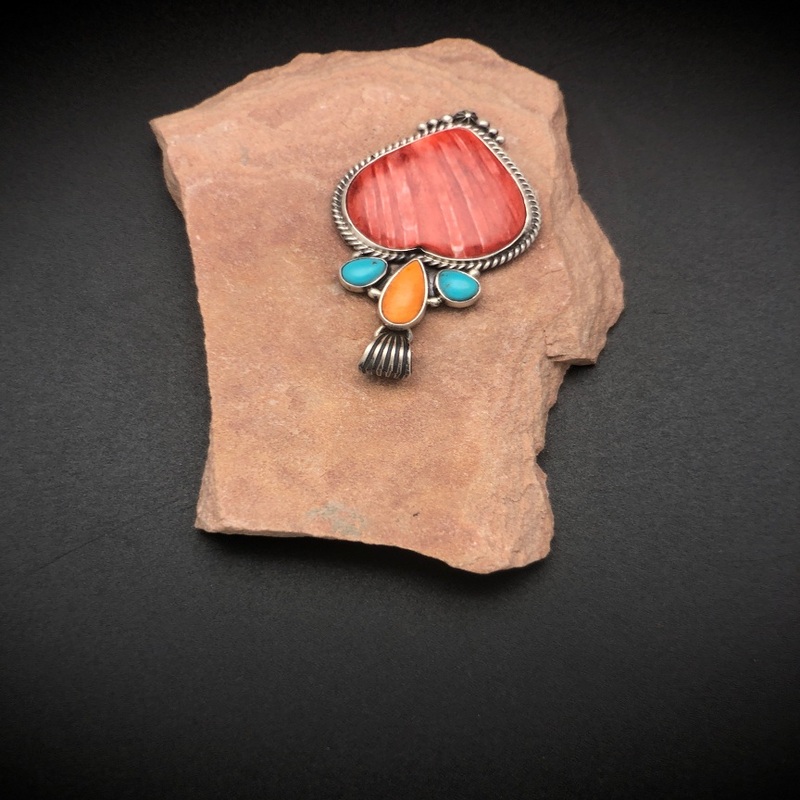 A great selection of complementing Navajo Pearls are available on our Necklace page. 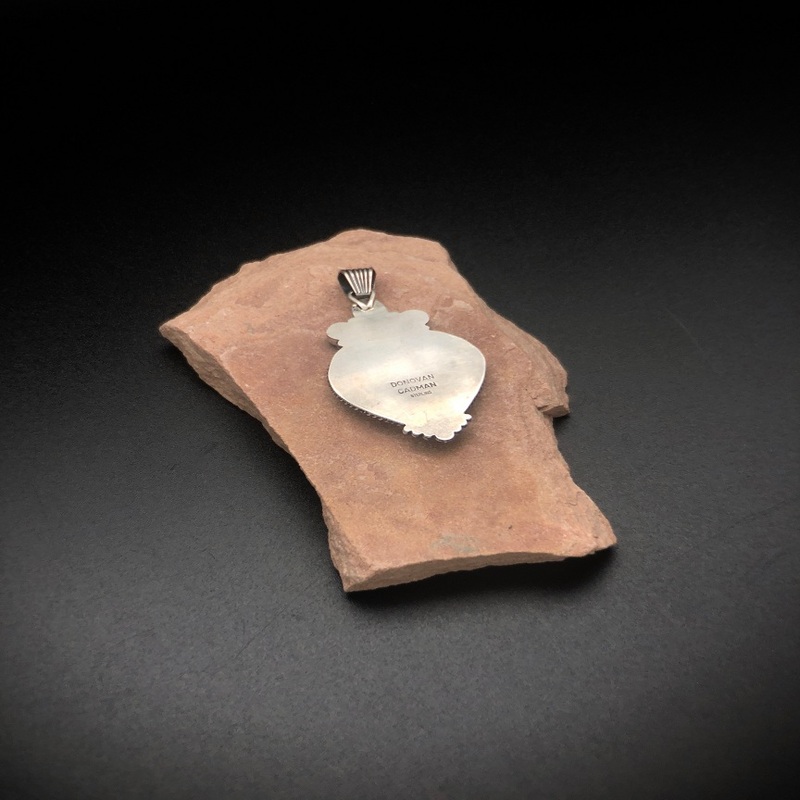 Share the post "SWS 105 DONOVAN CADMAN RED SPINY OYSTER SHELL HEART PENDANT"